Being a teenager is hard. Being a Christian teenager is harder. We are walking through turbulent years, carrying pressing burdens, feelings, temptations, desires and fears. As teenagers, we wrestle with living through growing pains—as Christ-followers, with living out our faith. More specifically, we need your prayer. We need prayer warriors. We need older generations to rise up and intercede for us. We need your loving, strategic, and persistent pleas. But perhaps you’re unsure exactly how to pray for the teens you know. That’s why, as a teen, I’ve compiled twelve specific ways to petition the God of the universe for the souls of teenagers. 1. Pray that your teens will be saved (Romans 10:1). The deepest cry of your heart should be that God would save the unregenerate teens you know. Pray for authentic, total heart transformation. Pray that teens will not trust in a memorized childhood prayer or an emotional experience, but will repent of their sins and trust in Christ alone. 2. Pray that your teens will love God’s Word (Psalm 119:9-10). Pray that God would speak to teens through his Word and bless them with an arresting delight in it. Pray that they would submit every question, decision, and desire to the Bible’s authority and gladly follow its counsel. Pray that they would get into Scripture daily, and that God would teach and strengthen them through it. 3. Pray that your teens will stay in church (Hebrews 10:25). Pray that God would give them an abiding love for sis people and a passion to participate in the community of the local church. Pray that they would prioritize church over work and friends and a thousand other trivial and temporal things. Pray that God would use the local church to equip, encourage, and sanctify them for life. 4. Pray that your teens will have discernment (Romans 12:2). Pray that they will know the truth and resist false teaching. Pray that they will be committed to remaining faithful to God’s Word. Pray that they will submit themselves to sound teachers and pastors who are grounded in Scripture. 5. Pray that your teens will follow wise guides (1 Corinthians 11:1). Pray that God would put strong and gracious counselors in their lives who will point them on the right path. Pray that teens will have the humility to listen to their elders. Pray that God will protect them from poor decisions and naïve mistakes. 6. Pray that your teens will fight temptation (1 Corinthians 10:13). 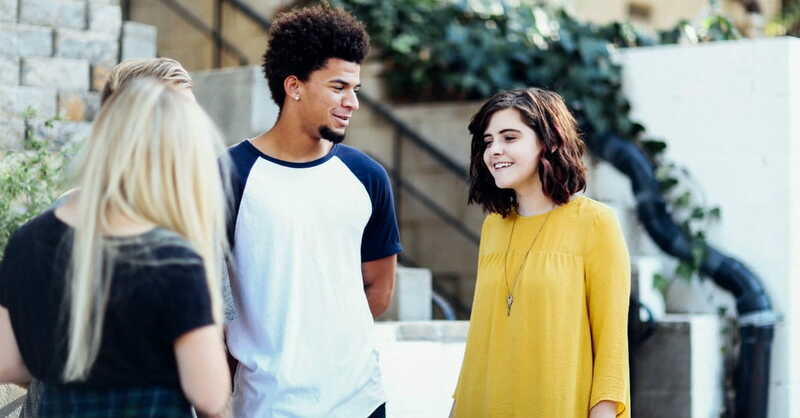 Pray that teens will not cave to culture or crushing peer pressure but will stand firm against the temptations they face – sexual temptation, social temptation, digital temptation. Pray that the Holy Spirit would convict them of sin and lead them in righteousness. Pray that teens would joyfully welcome and even pursue accountability. 7. Pray that your teens will make godly friends (Proverbs 18:24). Pray that God would grant them flourishing friendships that will encourage them in the gospel and mature them in their faith. Pray that they will spend time with those who are kind, humble, gracious, and wise. Pray that they will be influenced for lasting good by the people they spend time with. 8. Pray that your teens will pursue healthy relationships (2 Timothy 2:22). Pray that they would chase and celebrate purity in all of their relationships. Pray that God would grant them a godly spouse and protect them from sexual sin. But pray ultimately that they would love God more intimately and deeply than any boy or girl. 9. Pray that your teens will stand out from the world (Matthew 5:14-16). Pray that teens will embrace their identity in Christ and wholeheartedly obey him even when it costs them. Pray that they will not be blown by the winds of culture but will risk their reputations to publicly follow Christ. Pray that they would rejoice in their freedom from sin and shine brightly in a dark world. 10. Pray that your teens will endure suffering well (2 Timothy 4:5). Pray that God would teach them trust in him through their bitterest trials. Pray that they would be sanctified through suffering. Pray that God would use their circumstances to make their faith stronger and happier and more resilient. 11. Pray that your teens will have wisdom (Proverbs 3:4-5). Pray that they will have guidance and direction in the midst of great uncertainty. Pray that God would guard them from fear and anxiety and make them more reliant on him. Pray that whatever he has planned for their futures would bring him glory. 12. Pray that your teens will rise up and do great things for God (1 Timothy 4:12). Pray that God uses this next generation to do far greater things for his kingdom than your generation. Pray that this next generation learns from both the wisdom and the errors of our elders and boldly rises up to the challenges we’ll face. Pray for this next generation–for we are your next missionaries, your pastors, your professors, your teachers, your politicians, your authors, your parents. And we’re your next church. Jaquelle Crowe (@JaquelleCrowe) is a 19-year-old writer from eastern Canada. She’s a graduate of Thomas Edison State University and the editor-in-chief of TheRebelution.com. 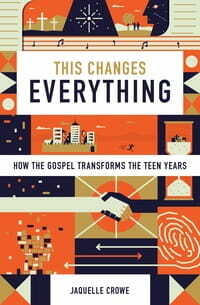 She is the author of This Changes Everything: How the Gospel Transforms the Teen Years (Crossway, April 2017). You can find more of her writing at jaquelle.ca.